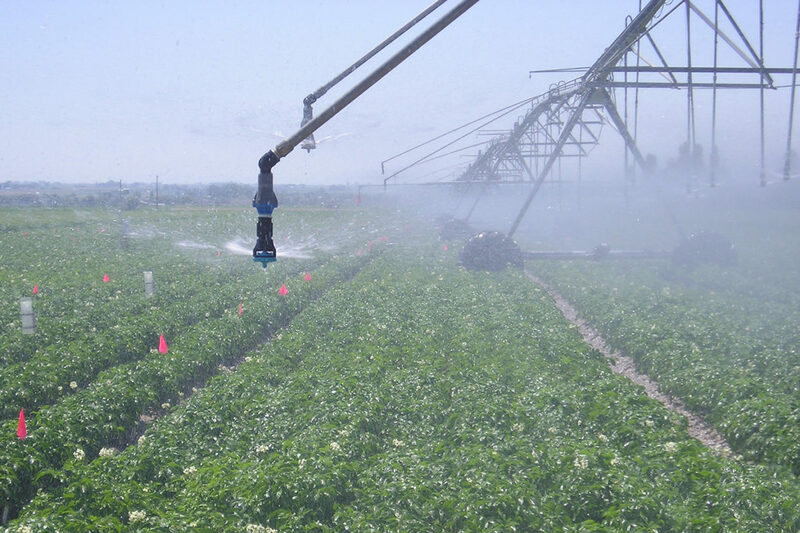 A new USDA-NIFA project led by the WRC will be working to identify promising emerging technologies and synergistic policies, such as the use of water markets, to improve technical and allocative water use efficiency in irrigated agriculture. Water markets can be a powerful tool for directing water to high-valued uses, but can be difficult to operationalize because of existing technical and institutional problems. This project focuses on three technologies that can help address information-related bottlenecks, especially when paired with complementary technologies are (i) seasonal forecasting of water availability and crop productivity, which better informs the decision context of potential market participants; (ii) satellite-based automated monitoring of consumptive use, which facilitates the monitoring that is a prerequisite of consumptive-use trades or leasing of partial water rights; and (iii) computer based smart market technology, which can streamline water trading and reduce administrative and transaction costs. 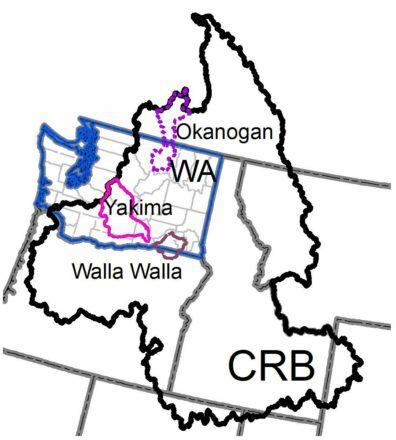 Our testbed includes three regions in the Columbia River Basin of Washington State – the Yakima, Okanogan, and Walla Walla River Basins. This is a five year project spanning August 2018 through August 2023. 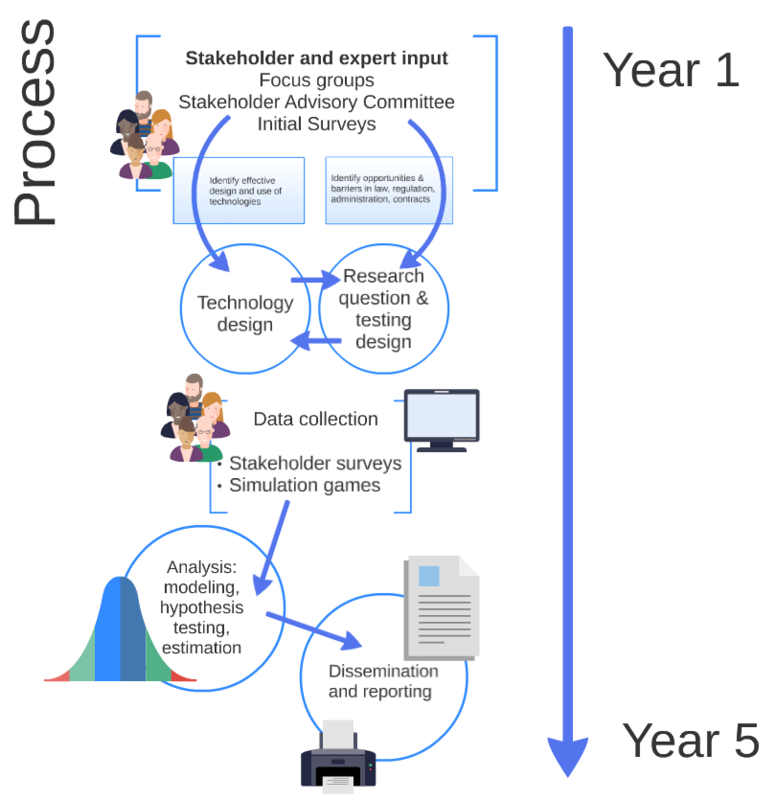 The research entails active stakeholder engagement from the beginning and throughout to identify and help focus on the most critical and fruitful research avenues, data collection through multiple sources, including active simulation-based water market and water use decision experiments, and real-world market activity. Read a two-page summary here [02/2019]. Read the full proposal to the USDA here. The initial press release is here. See the list of team researchers, organizations, activities, and products below. For more information contact Jonathan Yoder (Lead PI) at yoder@wsu.edu, or Co-PI and Project Manager Kirti Rajagopalan at kirtir@wsu.edu.